I'M A REAL ARTIST has a large scale steel phone case. 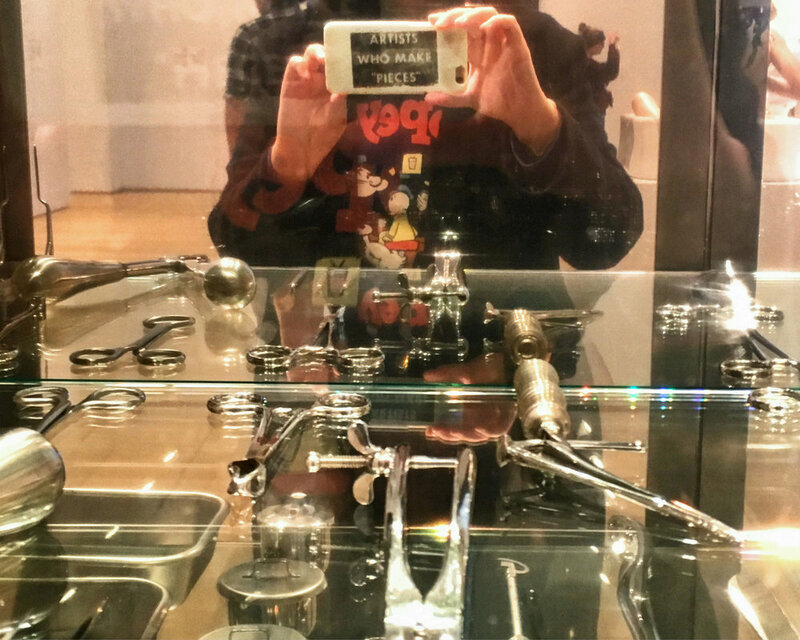 The phone case has a reflective surface, you can use it as a mirror, or take selfies with it, like what I did to many reflective art pieces in museums and galleries. I'M A REAL ARTIST has several photographs. In each photograph, there is an artwork, me, and a phone case which I printed another artwork on it. An artwork was placed inside another artwork by taking selfies.